Download the PDF at this link. Sneak Preview of Thursday's Presentation! 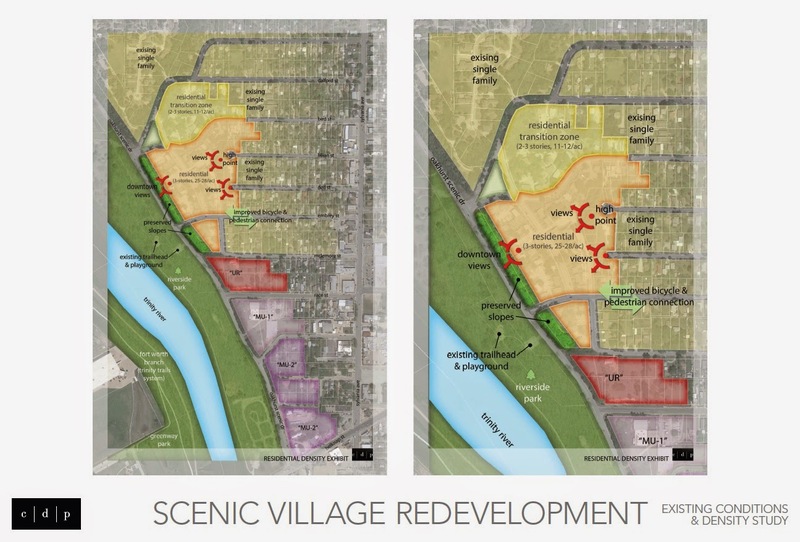 This Thursday, we will have a brief opportunity to hear from Pretlow Riddick, President of Criterion Development Partners, regarding their plans for the former Parkview Village / Scenic Bluff Village duplex community adjacent to Oakhurst Scenic Drive. Click here to see a sneak preview of Thursday's presentation. Our primary speaker for the evening will be Kim Mote, Assistant Director of the City's Code Enforcement Department. He is the City's Solid Waste Manager and is directly responsible for the City's residential collection program. The title of his presentation is Re-thinking Waste: A Greener Fort Worth. He will be talking about updates to the City's solid waste plan. 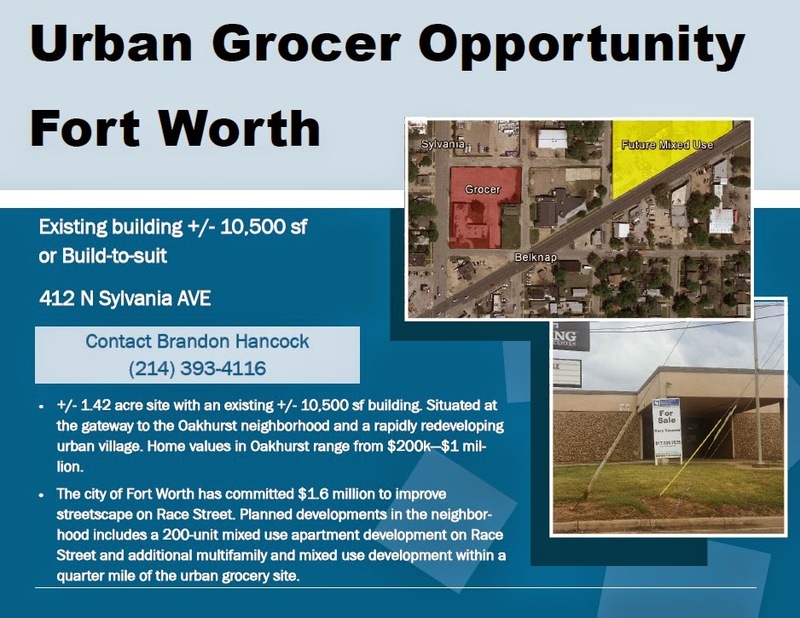 Anyone interested in the "greening" of Fort Worth and our neighborhood will be very interested in his talk on recycling, sustainability, and the latest things the City is doing and is considering in this area. Check out this month's issue of The Oak Leaflet online! 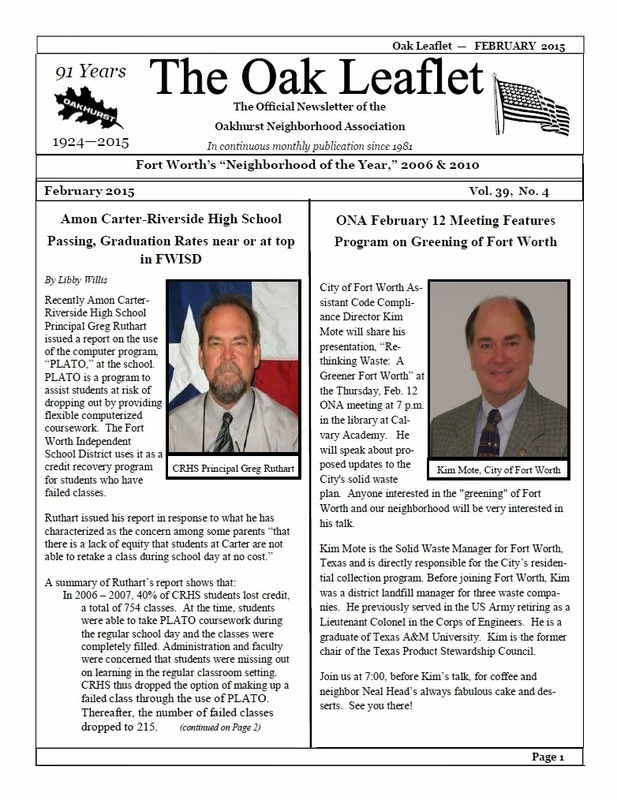 This issue includes info on Amon-Carter Riverside High School graduation rates, our upcoming February meeting topic, an update on Oncor's ongoing work to replace transmission towers in West Oakhurst, and more.